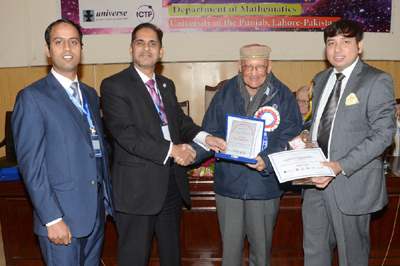 LAHORE: (Thursday, January 31, 2019): A five day “PU International Conference on Gravitation and Cosmology” which is dedicated to Stephen Hawking’s (1942-2018) 50 years of his PhD organized by Punjab University Department of Mathematics, Group of Gravitation and Cosmology from January 27-31 in collaboration with The Abdus Salam International Centre for Theoretical Physics, Italy, Higher Education Commission, Pakistan, Universe; An Open Access MPDI Journal and Pak Land Builders has concluded at Al-Raazi hall here on Thursday. 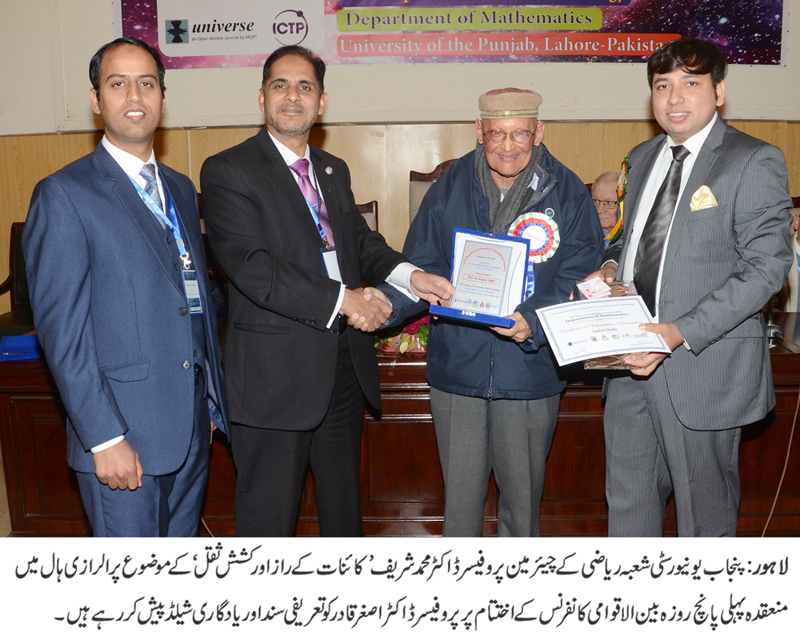 Department of Mathematics Chairman and Convener of the Conference Prof. Dr. Muhammad Sharif, Founder of Relativity Group in Pakistan Prof. Dr. Asghar Qadir and researchers from various parts of the world and country were present on the occasion. The plenary speakers and other well-known scientists of various countries as well as experts from all over the country, who participated in the conference, thanked to Prof. Dr. Muhammad Sharif, Convener of the Conference for arranging such an outstanding event. Prof. Dr. Muhammad Sharif, in his address, thanked the participants and said that all the participants took keen interest in the activities of the conference and presented their research work. Moreover, he said that the conference had been fruitful and scholars would be able to resolve the problems in the respective field. In his address, Prof. Dr. Asghar Qadir congratulated the organizers for organizing the conference and hoped that young research scholars would benefit from this opportunity.